As David Fay prepares to retire as executive director of the U. S. Golf Association, it should not go unacknowledged that Philadelphia owes him a debt of gratitude. 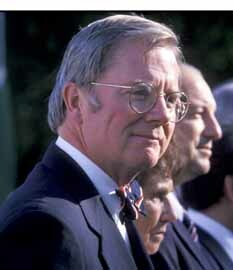 If not for Fay’s adamant support, Merion GC would not be preparing to host the 2013 U.S. Open, a sporting spectacle that will put the city in the national spotlight and pump millions of dollars into the economy. Of course, even Fay had to be convinced that Merion, supposedly a classic from a bygone era in golf, was up to hosting its fifth Open. That happened in 2002, after Fay had dispatched Mike Davis, senior director of rules and competitions, to Merion to break the news that from here on out, the club would only host smaller events, such as the 2005 U.S. Amateur and the 2009 Walker Cup. Once he got a closer look at the restoration project at Merion, Davis thought otherwise, and he returned to USGA headquarters in Far Hills, N.J. and pitched his boss with the idea of bringing the Open back to Merion. Only after Fay was on board did Merion truly become a serious candidate for ’13. Here’s a passage from a story I wrote for Golf World in August 2009, headlined Resurrecting Merion. As the 2005 U.S. Amateur approached, it was clear the event, filled with college-aged bombers, would be a make-or-break test for the Open. By the second day of stroke-play qualifying, the results were in—Merion had passed with flying colors. Of 312 players, only six broke par, and none of them had better than 69. The scoring average on the East Course was 78.2. "By Tuesday night, we were high-fiving," says Iredale, general chairman of the Amateur, knowing the verdict was unofficially in. The rest is history yet to be made. I’ve been so happy with the custom-fitted driver I got this past summer, I figured only good could come of taking the plunge and getting fitted for a new set of irons. I had no idea how right I would turn out to be. Now, as the golf season draws to a close in the Northeast, I find myself swooning over my newly-acquired, custom-fitted irons. I also find myself perusing the internet in search of discount deals to warm-weather golf destinations – anything to extend the honeymoon with the new love of my golfing life. Why am I going ga-ga over new set of irons? Because there is a sudden and noticeable improvement in my iron game. Thanks to a combination of the process of custom-fitting and my switch to a set of game-improving TaylorMade Burner 2.0 irons, I am hitting the ball a few yards farther, a little higher, and there is an unmistakable and much-appreciated forgiveness when I slightly mishit a shot. My iron game, which has been adequate at best for the past couple of years, was getting increasingly iffy all summer. Sure, I could fault my swing, which is no longer the well-oiled, finely-tuned picture of perfection that I like to believe it once was. But why not lay some of the blame at the feet of the irons I’d been playing for the past four or five years: Mizuno Cut Muscle MP-60s? Mizuno, of course, is one of the premier manufacturers of irons, especially their top-of-the-line stuff. Nobody in their right mind would dispute that fact. If anything, Mizuno has earned a reputation as a "player’s iron," favored by plenty of pros and top amateurs. Although I am neither a pro nor a top amateur, I can tell you with some authority that a perfectly-struck shot with a Mizuno Cut Muscle MP-60 iron feels like a dream. It feels so good it’ll send chills up your spine. But I can also tell you that on even the slightest mishit – anything less than a perfect, sweet-spot connection – can feel like you clanked a shovel against the side of an Army tank, sending shivers up your spine and down your arms. The negative feedback is instantaneous, right down to the dead-buzzard flight of the ball. I knew my Mizunos and I had come to the end of our journey together during a round in September, when my cart mate (I barely knew him) made some variation of the following observation after pretty much every shot I hit: "That didn’t sound good. Did you get all of it?" Problem was, well, yeah, on most of those shots, I did get all of it – or about as much as I was ever going to get. Within days of that round, I was investigating the latest offerings in irons from all the manufacturers. The choices were mind-boggling. About the only thing I knew for sure was that getting a set of blades was out of the question. 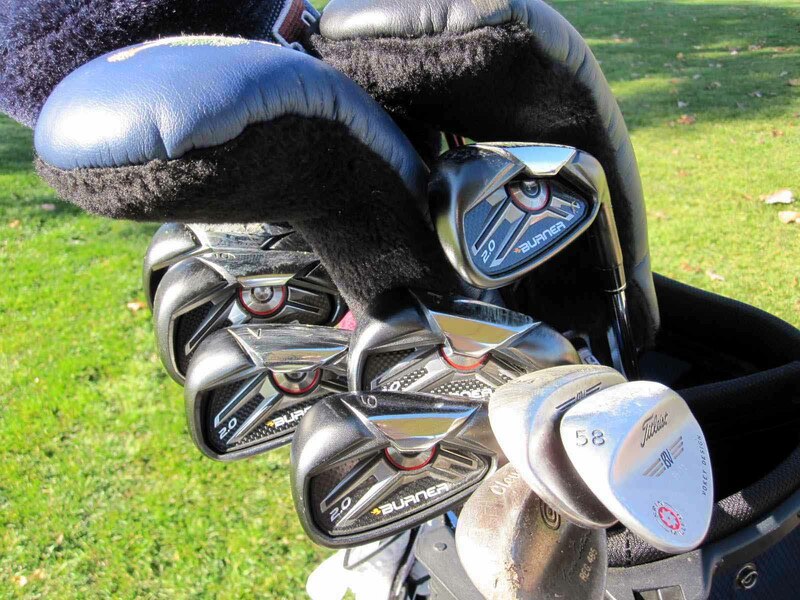 Regardless of the manufacturer, blades are so unforgiving that even many PGA Tour players have abandoned them in favor of perimeter-weighted irons. I was also not wedded to any particular manufacturer. Over the years, before my Mizunos, I’ve owned and played just about every brand at one time or another: Clevelands (two sets), Titleists, Callaways, Hogans and Wilson Staffs. All I knew was that this time around I wanted – needed – irons that were more forgiving and less judgmental than my current set. As it happened, that very week I got an email from TaylorMade touting their latest game-improvement irons that were about to hit the market, the Burner 2.0. Intrigued, I clicked on the link and watched a video featuring Bret Wahl, senior director of iron research at TaylorMade, explaining why the Burner 2.0s were "breakthrough" technology. I liked what I saw. What closed the deal for me was a phone conversation with a longtime colleague at TaylorMade. This is a no-BS guy and he assured me the early feedback the company was getting on the Burner 2.0s was very positive. By the end of that week, I was on the range at Manufacturer’s Golf & Country Club, getting fitted under the watchful eye of a young assistant pro named Lowen Lermitte. First off, to determine whether I needed stiff or regular shafts, Lowen he had me take a few cuts to loosen up. Then he handed me something called the Speed Stik, which is basically a golf club without the head; instead, down at the tip, there is device that measures your swing speed. Last time I got measured, which was several years ago, my swing speed with a driver was 104 miles per hour. That’s well below the average Tour player (113) and nowhere close to the longest hitters (Tiger is 120-130). This time, Speed Stik had me consistently in the 93-95 mph range, which means I still need stiff shafts – but just barely. Lowen handed me a 6-iron with a stiff shaft and pulled out what looked like a clipboard, or like one of those little rubber tee mats you see at a Putt-Putt course. 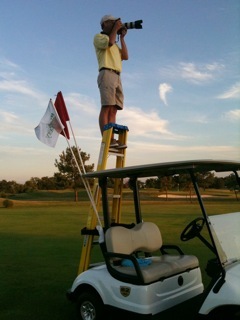 Next, Lowen put a special kind of tape along the sole of the 6-iron and had me hit several balls off the clipboard. Where the sole of the club made contact with the clipboard, the tape was scraped and darkened. To the trained fitter, the scrapes on the tape indicate whether my new irons should be the standard lie or whether they needed to be bent slightly upright or flat. I’m 6-foot-1 so the presumption is that, if anything, I would need clubs that are a degree or two upright. The scraped tape clearly revealed otherwise. Despite my height, I actually needed irons that were 1-degree flat. After I hit a couple of dozen balls with the stiff steel shafts, I told Lowen I wanted to try the stiff shaft in graphite. He shook his head, like it was a bad idea. "You’ll like the steel better," he said. Still, I wanted to give the graphite a try, if only to see for myself. Ten balls into the graphite experiment, I handed the club back to Lowen. He was right. The steel shafts had a better feel, and I swear there was less dispersion to the shot pattern. When the Burner 2.0s arrived late one afternoon about a month later, there was still enough light to take them for a spin. I only got in seven holes before dark, but it was enough to give me a sense that I was going to be very pleased. I played my first full round with new irons the next week, at Bidermann GC near Wilmington. It was then that I fully came to appreciate what I had stumbled into. Early on in the round at Bidermann, I hit mostly short irons into par 4s and a three-shot par 5. I liked the way the ball sounded jumping off the club, and there was none of that clanky sensation I got with my old irons on a slight mishit. The most convincing evidence – and the shot of the day -- came at the 8th , which at Bidermann is a picturesque, 190-yard downhill par 3. I pulled my 5-iron, for what would be the debut shot with the longest iron I carry. I made a good pass at the ball -- good, not perfect -- but it felt as flush as if Ben Hogan had hit it. When I looked up, I was watching a rocket, dead straight, and the ball was flying considerably higher than I usually hit long irons. I could play 10 rounds with my old irons and never hit a shot that felt that good, that solid. And it didn’t just look and feel good, it was good. The ball landed on the back of the green, took one hop and stopped about 20 feet from the hole. One of the truisms of golf is that, if you are on good terms with your long irons, the other irons fall into line, like baby ducks. The rest of that round, and in three or four rounds since, things have only gotten better between me and my new irons. I’m not foolish enough to think this honeymoon will necessarily last forever. I’ve got about a dozen putters in various stages of "time out" in my basement now that prove otherwise. These new irons could eventually betray me, just like those putters did. For now, however, and hopefully well into the future, we are happy together. I have to close now, because I want to look for more discount golf trips online. The real triumph will come if you can beat Dan/Cole on a regular basis. Fran - These days, the cost of custom-fitting is usually included in the price of the clubs. But if your plan is to get fitted at a chain store or a private club, then buy the clubs online, the store will usually charge you a fee for the fitting (about $50). Congratulations on the new custome fit sticks. Nothing better than the feeling that you made the right decision. I’ll have to do the same thing when I get some extra cash. i’d love to have fitted clubs. Does it add much to the cost of the clubs to be fitted? This time of year, when the fall colors are at their richest, nature offers few places more spectacular than golf courses, especially here in the Northeast. That’s why when photographer Dan Husted and I were kicking around ideas for MyPhillyGolf’s first photo essay a few weeks ago, we decided he should take advantage of the season’s changing colors. 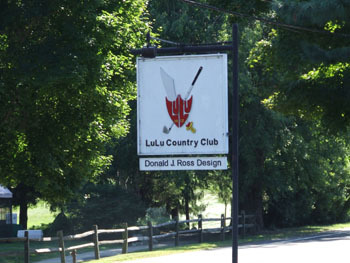 We considered several courses, each abundant with deciduous trees, before Dan ultimately settled on Jeffersonville GC, the Donald Ross-designed municipal course operated by West Norriton Township. Dan had his reasons. First, there is his fondness for Jeffersonville as a course he plays regularly (14.4 handicap). Second, he knew it had plenty of precisely the kind of trees he needed to make the best photographs. Fact is, Dan already had begun building a photo archive of Jeffersonville. It also didn’t hurt that he had come to know and like the staff at Jeffersonville, and he thought they would be enthusiastic about his project. He was right. By way of introduction, Dan spent 15 years as a professional photographer in New York City, before moving to Philadelphia seven years ago. In New York, he shot for prominent advertising agencies and design firms, on assignments that took him around the world. Since moving to Philadelphia, Dan has begun concentrating on golf photography, for books and magazines. His clients have included the U.S. Golf Association, the U.S. Open program, Golf magazine, Senior Golf Magazine, Links magazine and Perry Golf. For more on Dan, his work and his complete list of clients, check out DanHusted.com. "I’ve always referred to myself as a picture taker, not a picture maker," says Dan. "I let the situation at hand guide me. I think it creates a more spontaneous final image." It’s official: Delaware National CC is a goner. The Wilmington News-Journal confirms the suspicions I reported here yesterday. The 73-year-old club, which began life as a club for the executives of the former chemical company Hercules Inc., will close its doors for good at the end of the year. For all practical purposes, the club is already closed. As noted here yesterday, when a group of golfers showed up to play the course on Friday after Thanksgiving, they found the driveway barricaded, the doors locked and the utilities seemingly shut off. The phone has also been disconnected. In the News-Journal story, Ron Holliday, owner of Delaware National, said he could no longer afford to pay the $20,000 a monthly electric bill. Even before the power was shut off, Holliday had decided to close the club. "The decision was made a while ago that it was no longer feasible to continue to operate," Holliday told the News-Journal. Delaware National is the second club to close in Delaware this year. In August, Pike Creek GC, formerly Three Little Bakers, shut down. Is it curtains for Delaware National CC? 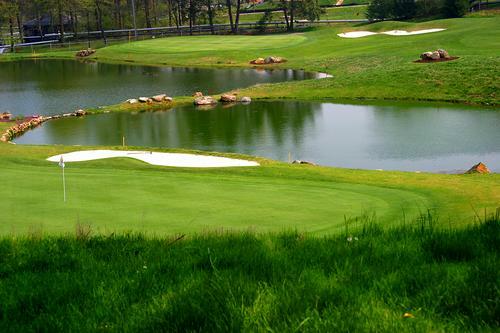 The news could be grim for Delaware National Country Club. Yesterday, I got an email from a golfer who played the course on Tuesday before Thanksgiving. When he and several golf buddies returned on Friday for their annual post-Thanksgiving round, they say the driveway was barricaded, the doors were locked and the utilities appeared to be shut off. I’ve called Delaware National several times and the phone also appears to be shut off. Late this afternoon, an official from the Philadelphia PGA Section confirmed that he, too, is hearing that Delaware National has closed.